Taking a road trip with your dog is definitely an awesome and an unforgettable experience. It’s also a great way to put some adventure in your lives when the weather is less than favorable. To make that trip a more enjoyable experience, keep these things in mind before before hitting the road with your furry friend. Just like humans, dogs can have tummy issues due to the motion of the car and/or not being able to see out of the window. Before you leave on a long road trip, make sure your dog is comfortable with short- and medium-length trips first. If your dog gets sick or seems to not enjoying him- or herself, here are some things you can do. Feeding your dog on the road may take pre-planning. It’s best to stick close to their normal feeding schedule; plan for where you will be at those times. Be willing to make an extra stop if necessary. Also, feeding smaller meals (maybe throw in a bonus meal during the day instead) can help if your dog is prone to car sickness. And don’t forget the water! Keeping your dog properly hydrated is important. The safety of your dog during the trip is important. To help ensure this, restrain them with crash-tested products so they don’t distract you or jump out during a quick stop, keep the lock on the window so they can’t accidentally roll it down and fall or jump out and be hyper aware of your surroundings to avoid accidents. Definitely make sure your pet’s ID tag is easily readable and the information is up-to-date in case they do get away. It’s also a good idea to pack a pet first aid kit in your car. 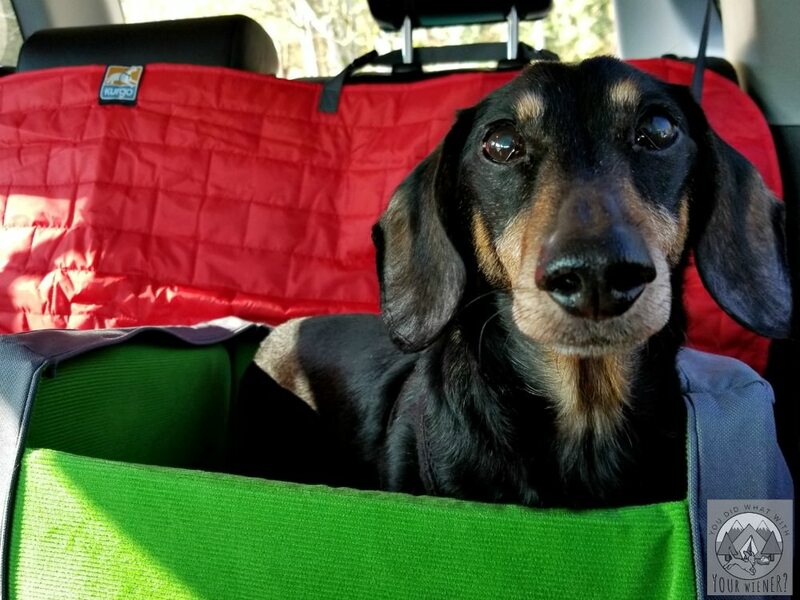 Don’t forget these 10 must-have road trip items for your dog. In addition to items to keep your dog safe and happy, don’t forget things like music you can sing along with (my dog likes when I sing to her) and a camera to capture fun moments together. If your dog isn’t sleeping, he might get bored. A bored dog will find a way to entertain himself, which may mean jumping around the car distracting you, barking, or digging around in the back to find food. It’s a good idea to have some kind of food puzzle or treat toy to keep them busy if they get restless. Your dog will need regular breaks to go potty and stretch her legs. When I’m driving long distances, I can get in a zone and forget to stop. To help me remember, I like to play the 100-mile game. 7. How Does Your Dog Do Around Strangers? Part of the fun of taking your dog along on a road trip is having them by your side wherever you go. But remember a lot of those places – especially the touristy ones – can be crowded and noisy. If your dog tends to be nervous or afraid around strangers, it’s best to avoid those places all together or plan to visit during off-peak hours or seasons. 8. 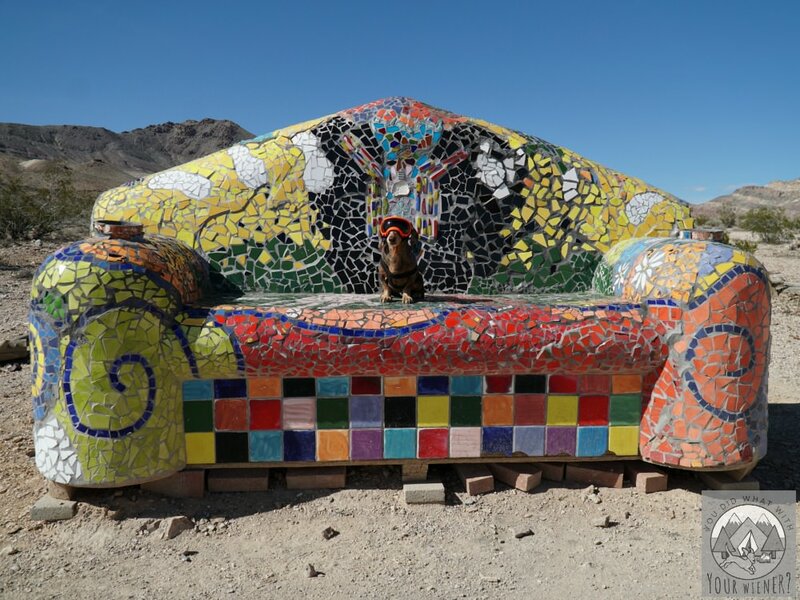 Are the Sights You Want to See Dog Friendly? Always verify the place you want to see welcomes dogs before you buy tickets, pay entry fees, or go at all. If you search Google for “*sight you want to see* and “dogs,” you will usually quickly find the information. No matter where you visit, dogs are required to be on a six-foot, or shorter, leash. No matter where you go, it’s required that you pick up your dog’s poop. No matter where you go, dogs (except for service animals) are not allowed inside buildings or museums. 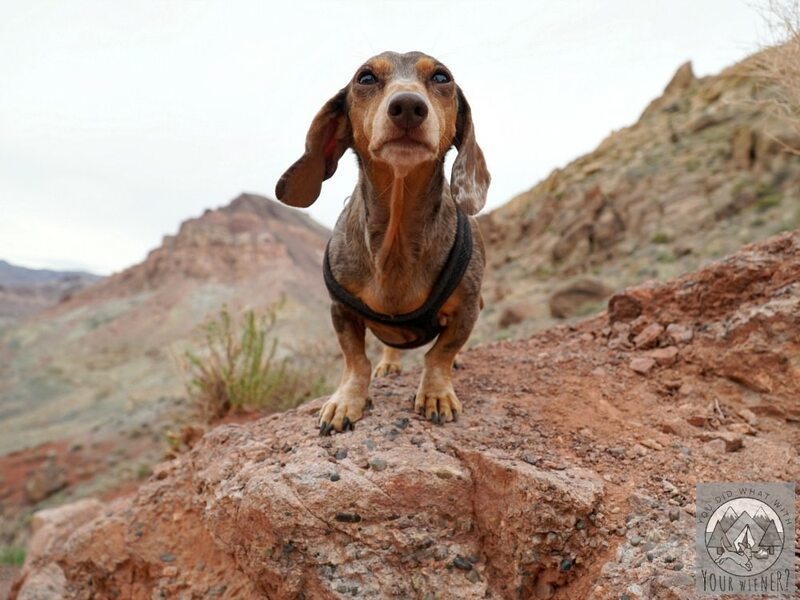 Dogs are not allowed in National Parks except for along designated roads, in parking lots, and in campsites (no trails but you can take a scenic drive with your pup). In most states, dogs are allowed in State Parks, including on trails and beaches. However, there are some exceptions. For example, dogs are not allowed on trails in many trails in California State Parks. Dogs are generally allowed on land managed by the Department of Natural Resources (DNR). Dogs are usually not allowed in areas designated as protected habits for birds, marine life, or other animals. The rules vary for private parks and outdoor exhibits – always ask first if you aren’t sure dog are allowed. I’m all for being spontaneous. However, if you are travelling long-distance, it’s good to have an idea of how many hours you plan to drive in one day and where you might be stopping for the night. You can research ahead of time and find some dog friendly restaurants, hotels, and trails where you might be stopping. You may end up straying from your planned itinerary but having at least a few places in mind will help your trip be stress-free. Road tripping with your dog is a memorable experience. To help ensure all of the memories are good, remember these nine things. 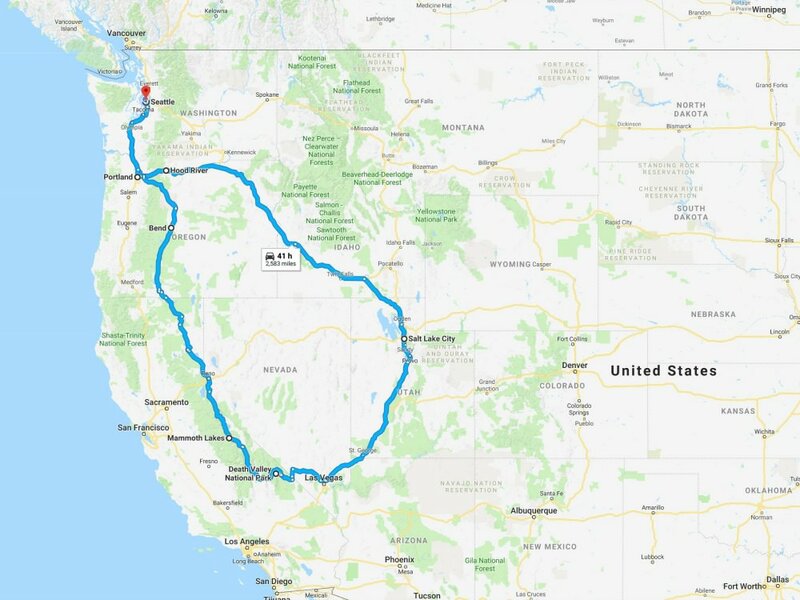 A little but of pre-planning can make the trip a lot more fun. If you’re headed to Canada, be sure to check out my tips on crossing the US-Canadian border with your dog. This is a great post! 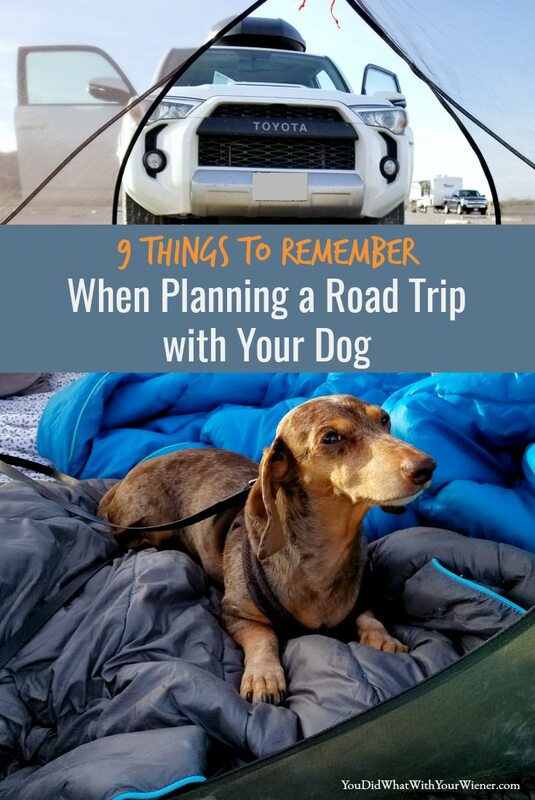 I took a 17 hour road trip with my three dogs last fall and I totally agree with the small meals tip. I fed them a small snack every 2-3 hours when we stopped and they did great! We didn’t have any issues with vomiting. This is a great list to bookmark prior to a roadtrip. I’m definitely pinning this one! Congratulations on your Nose to Nose Award at BlogPaws 2018, so happy for you. Well deserved, your new branding looks fabulous! I’ve been very lucky in life that 1) I have dogs and 2) they have all traveled well. One of my dogs now occasionally gets a bit carsick but that’s usually when we’re in stop & go traffic on the highway. This is great information for anyone traveling with their pups!